You’re attending an event—tonight. Holiday party, New Year’s Eve or maybe a family dinner, but no matter what’s on the agenda, you want to look put together. Your outfit is ready, but what shoes should you wear? We’re here to make your choice simple and the outcome successful. Below, you’ll find a few classic options and styling tips so you can get to the fun part of the night. Keep reading to see what footwear you should wear to your next holiday party. The sneaker has grown up, and we’re all for it. This once-casual go-to has graduated from streetwear events to buttoned-up happenings. You’re in the clear wearing them to relaxed office parties and holiday get-togethers with your everyday rotation, but why not take them even further? 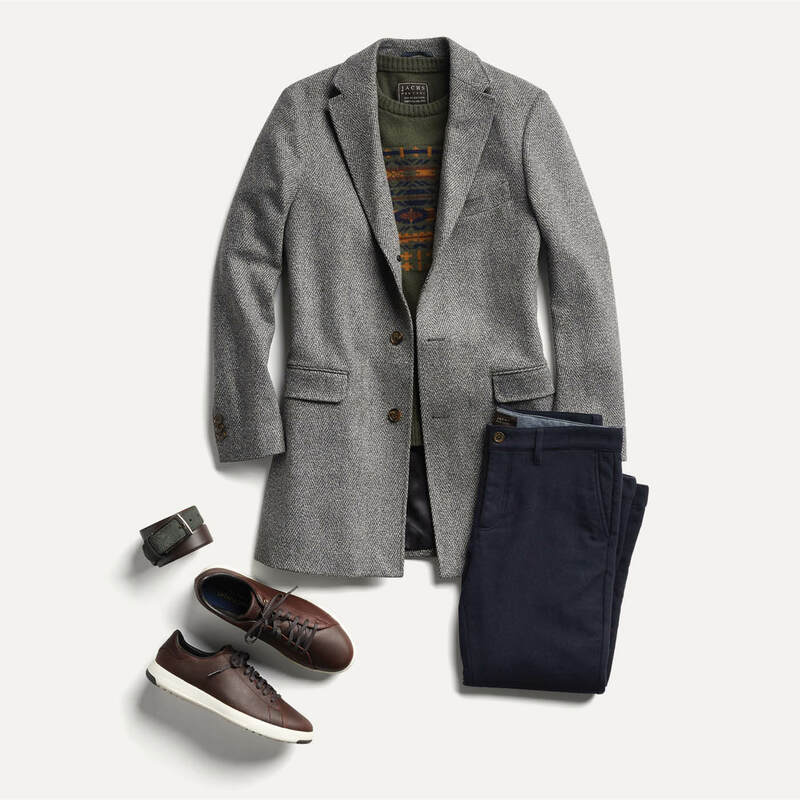 Pair with a darker pant and fairisle sweater and you’ve got yourself an easy upgrade to a smart-casual look. Denim is a safe bet when wearing sneakers, but don’t ignore chinos. Pair these two items to create a modern, street-style vibe. Prepare to get noticed. When you want to make a statement, this style is your best bet. They ride the fence between classic and cutting-edge. Maybe it’s the double-buckles, but in any case, they will stand out. If you’re headed to a business-casual occasion, opt for brown or black. 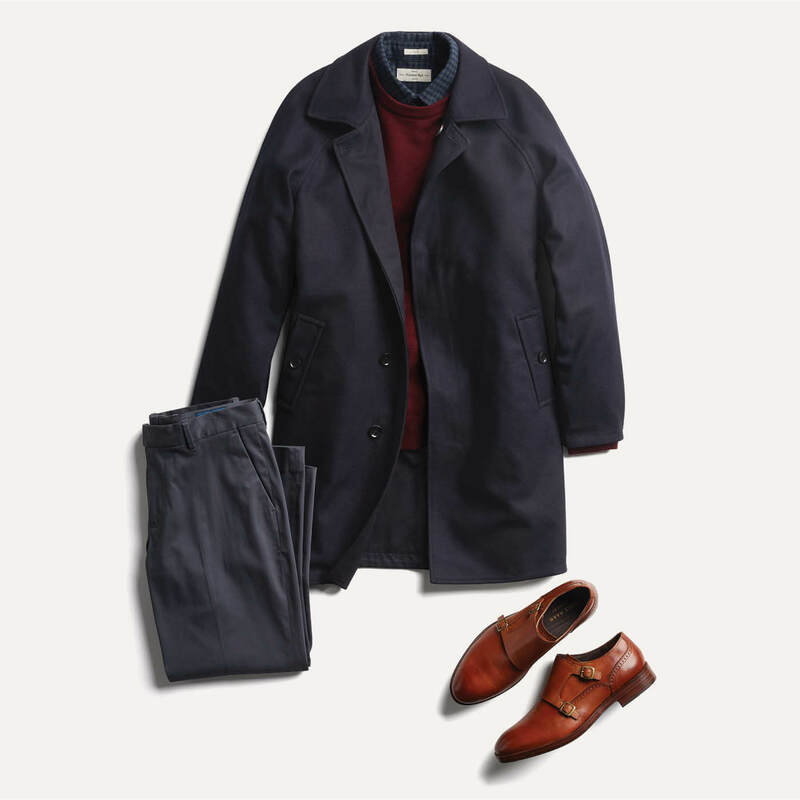 Wear them with a sweater layered over a collared shirt, and you’re ready to go. You’ll get the most bang for your buck with these shoes. You can wear them with a full suit or with jeans. In either case, you’ll look like a style expert. 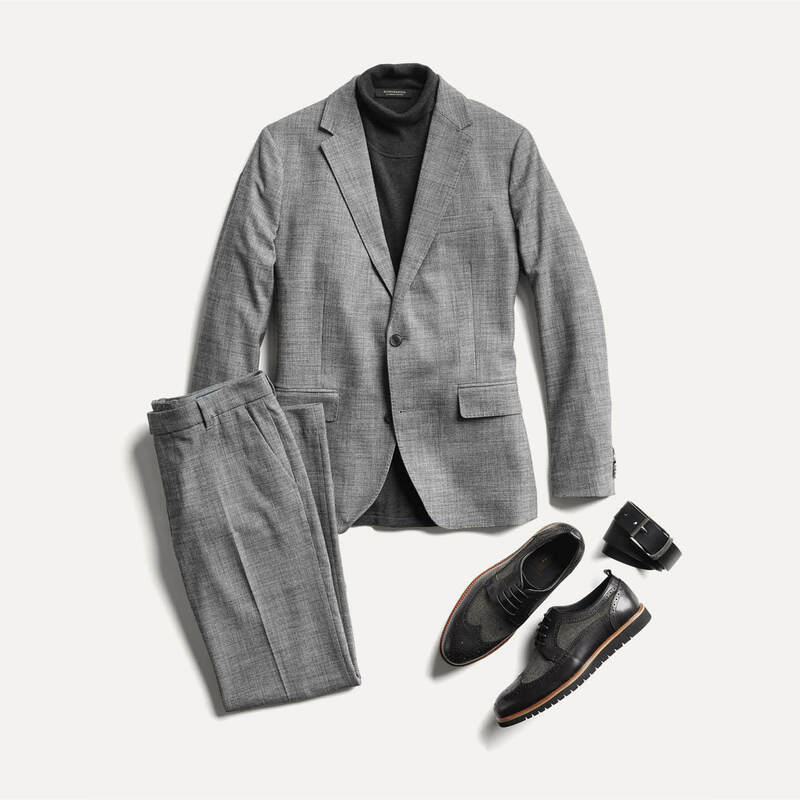 Want to look like the most sophisticated guy in the room? Sporting a pair of brogues will do just that. Think of an oxford with a perforated pattern. These shoes visually read formal with a touch of old-world charm. They go naturally with a suit or a pants-sweater combo. Throw on a turtleneck, and you’ll be dressed to impress. Be thoughtful when working this style into a casual outfit. This isn’t the type of shoe that will match just any pair of casual pants or denim so when in doubt, stick to darker colors. Are boots okay to wear out? Absolutely. 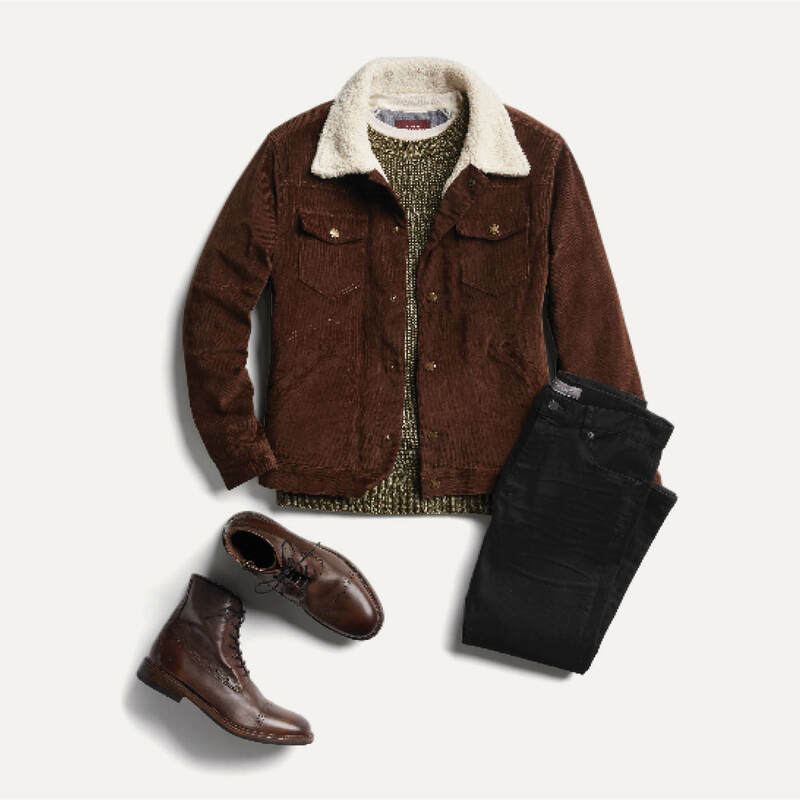 In fact, you can find pairs that are polished enough to do double duty—rugged enough to complement denim and polished enough for tailored pants. If you’re going for more of that mountain-man feel, these shoes are the perfect companions for black jeans and a shearling coat. Beard not included. Unless you’re going for a distressed look—nothing wrong with that—consider giving your lace-ups a quick polish for a little extra panache. We have a quick how-to guide here. See something you want to add to your shoe rotation? 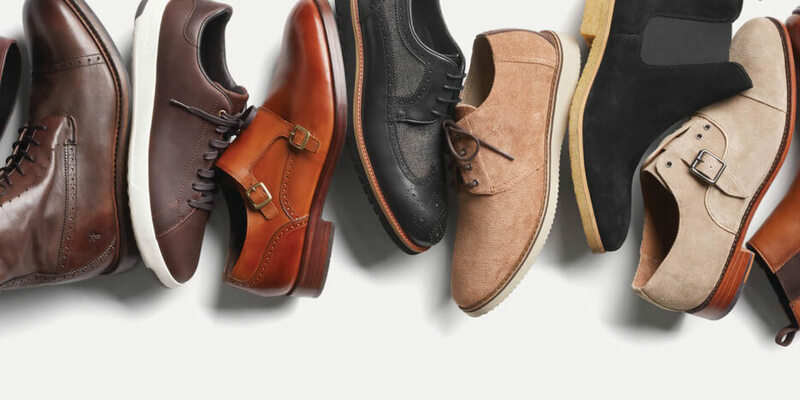 Ask your Stylist to send you footwear for every occasion.